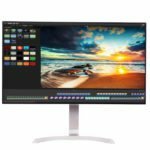 The LG 29UM67-P monitor offers the impeccable ultra-wide resolution which makes video games and movies more immersive while giving the professional developers and graphic designers more space for their multi-tasking jobs. The ultra-wide experience is enriched by the stunning color accuracy of its IPS panel and various very useful features including gaming modes and screen splitting applications. The LG 29UM67 PC monitor offers three well-optimized gaming presets which can be easily changed using the joystick that’s placed beneath the screen. These gaming presets include two FPS modes and one RTS mode. Additionally, there’s a custom Gamer mode which can be manually adjusted to suit your personal settings, and later edited and saved when needed. The presets utilize higher contrast ratios and exclusive gaming features such as the black stabilizer and the dynamic action sync to significantly enhance the gameplay. The Black Stabilizer technology allows you to see more clearly in the especially dark parts of games. This feature will brighten the dark objects of darkened areas in games and by the further sharpening of the details ensure that you see your enemies in clarity. The picture quality will not suffer by this enhancement but rather remain uncompensated. The Dynamic Action Sync technology ensures minimum input lag which along the response time of 5ms delivers fluid and smooth gaming experience without screen blurring and ghosting. Furthermore, if your PC is powered by an AMD graphics card, you will be able to connect it directly through the DisplayPort and use the monitor’s potential to the fullest. The FreeSync feature synchronizes the refresh rate of your monitor with the rate of your GPU and in return, you gain more stable FPS rate and no screen tearing or stuttering in video games. 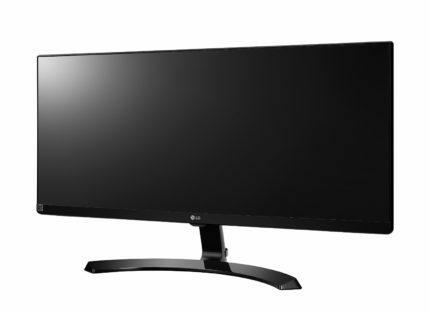 Furthermore, you may overclock the Hz rate of the LG 29UM67 1080p ultra-wide monitor up to 75Hz if you’ve connected your monitor to the compatible AMD graphics card. The response time of 5ms will take care of any blurring or ghosting you could encounter while gaming, watching movies or going through your everyday routine. 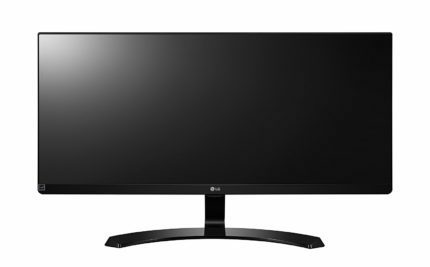 Although the usually less expensive TN panels have a faster response time even up to 1ms, the 5ms response time is exceptionally good concerning that the LG 29UM67 has an IPS panel. Only professional gamers could be bothered by the difference between these two response time velocities. The IPS glow is a common issue of the IPS panel monitors. Some expected glow at the edges of the screen is present, but only in completely black backgrounds. You would also have to be in a dark room in order to really notice it, but in ordinary conditions, the glow is barely visible. In video games and movies you won’t notice it at all. The LG 29UM67 FreeSync monitor offers several well-optimized presets which you should select according to your activity on the screen. These presets include four gaming modes, Photo, Cinema, Reader 1, Reader 2, Custom and a Calibration mode. All of these presets can be separately adjusted and saved for further use. Besides the usual settings adjustments of brightness, contrast, gamma and the 6 axis color levels, some presets include additional settings of sharpness, saturation, and black color levels. The reader modes deliver lesser levels of the blue-light which makes for the ideal preset when you want to read or rest your eyes. In addition to the TUV certified Flicker Free display, you will be able to watch the screen for hours to an end without straining your eyes. The calibration mode delivers factory calibrated colors with over 99% of sRGB color gamut which is perfect for professional photographers and designers. The gaming and cinema presets provide the viewers with higher contrast ratios and should obviously be used with the corresponding activity as they significantly enhance the watching experience. Besides the two FPS and one RTS gaming modes, there’s also an addition custom gaming mode in which you can adjust the preferred level of the black stability and the response time. On-Screen Control is a software which allows you to adjust all of your settings that you would regularly tweak by the joystick, in a desktop application. You will be able to adjust all settings by using your keyboard and mouse devices and quickly arrange all the settings including the exclusive Screen Splitter, Dual Controller, and other features. The Screen Splitter is the most useful feature for the professional videographers and alike. With this feature, you will be able to split your screen into 14 different variants of two to four segments, including Picture in Picture and Picture By Picture modes. This makes the demanding and time-consuming multi-tasking activities easier and simpler as you will be freed of numerous swapping between applications and have a nice overview of all your windows. The Dual Controller simplifies the connecting of more devices such as a PC and a laptop to one screen of the LG 29UM67 IPS monitor. In this exclusive software, you will be able to easily arrange and setup your multiple PCs into one display as the application is plain and straightforward. The swapping between the two displays is possible by simply passing over with your cursor or a custom combination of keyboard keys. Furthermore, you will be able to transfer files from one desktop to another up to 2GB. The LG 29UM67 has narrow bezels which make it ideal for multi-display, although this monitor can alone replace your dual monitor setup. As this monitor is much taller than it’s wide, it may take you some time getting used to it, but once you realize just how much more space you have at disposal, you’ll wonder how you ever lived without it. The screen is covered with a hard 3H anti-glare coating which eliminates the sunlight reflection. Beneath the bottom bezel is a joystick which makes the navigation through the menu very quick and easy once you get used to it. Besides tilting the LG 29UM67 screen for 25 degrees you won’t be able to adjust the position of the monitor. Since the monitor has great viewing angles of 178 degrees both horizontal and vertical, you probably won’t have to spend much time in finding the perfect spot for the monitor. However, the lack of the pivot ability might disinterest some photographers who need the portrait position for certain photographs. 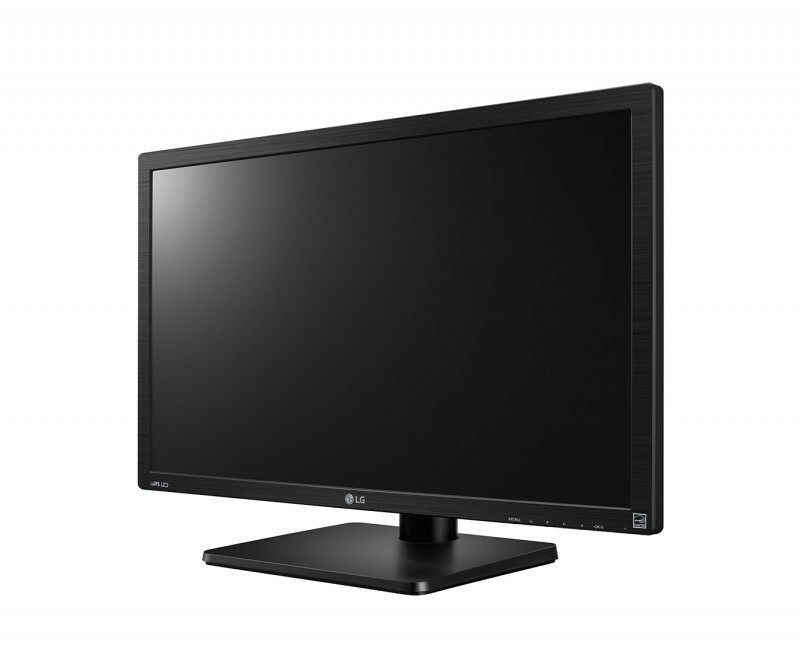 In the box of the LG 29UM67, you will receive an HDMI cable, a power cable, a CD with drivers and information including the On-Screen control software which allows you to adjust your settings in a desktop application rather than by the OSD joystick. The monitor is VESA mountable and its base is detachable if you choose to hang up the monitor on the wall. The ports include 2x HDMI, 1xDisplayPort for the FreeSync features, and a DVI-D.
As per the usual, the built-in speakers are nothing more than a secondary accessory. The volume of the sound is capable of reaching a decent level but the same cannot be said about the quality. Moreover, there are no additional USB ports on the screen which can be found in many monitors at this price range. All who wish to take their gaming and movie watching experience to the next level can do so with the ultra-wide resolution of the LG 29UM67 display. Professional graphic designers and photographers will have all the necessary tools for their work with the stunning 99% sRGB color accuracy and various useful exclusive features. If you plan on saving up additional money, you should check out this ultra-wide monitor with the 4K display – the LG 27UD68. While the ultra-wide resolution and color accuracy of the IPS panel deliver stunning and immersive gaming experience, professional gamers will still need a gaming monitor with faster response time and higher Hz rate for their competitive gaming. Average gamers and those who play slower-paced games will not notice the lack of response time speed and will enjoy in ultra-wide immersive gaming. Additionally, the FreeSync technology makes this monitor ideal for the users of AMD graphics cards. 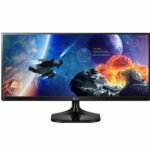 For a reasonable price, you will be able to immerse into the ultra-wide gaming and movie watching experience, however, once you get used to it – you won’t be able to go back to the regular monitors.